Summer is synonymous with hot temperatures, beach trips and backyard cookouts. But spending time outdoors, during the heat of the day, can put your heath at risk. Here's how to protect yourself as temperatures rocket. Start by taking it easy outdoors. This may seem like a simple tip, but most cases of heat exhaustion come from people overexerting themselves. Whether it's kids playing, an afternoon run or outdoor labor, know your limits. Don't push any further than needed, but if you do go a little overboard and start to feel bad, here's a list of the three most common heat related illnesses and their symptoms. Heat Cramps: involuntary spasms of muscles in the calves, arms, abdomen, shoulders and back, similar to night-time cramping. Heat Exhaustion: excessive thirst, weakness, headache, nausea, cramping and loss of consciousness. Heat Stroke: most serious, death possible; includes symptoms of heat exhaustion as well as seizures, rapid heartbeat, rapid and shallow breathing and hot/red skin. Emergency attention is needed. It important to recognize these signs and take corrective action and cool your core. Generally you can do this by seeking shade and drinking water. However, if you believe someone is suffering from heat stroke, contact emergency services immediately. Drink. Drink. Drink. And we don't mean a frosty brewski. Drinking alcohol and sodas will actually cause dehydration, not prevent it. So stay away from fizzy drinks during the heat of the day. You also lose a lot of water by perspiration, which is the body's way of heat regulation through evaporative cooling (just like in atmospheric processes). So it's imperative to drink at least a gallon of water a day, while out and about during hot weather. Also, through perspiration you lose salts and those can be replaced by drinking sports drinks with electrolytes. Electrolytes, electrically charged salts called ions, are essential for muscle function in the body. That's why you'll have heat cramps if you don't replenish them periodically throughout the day. Also remember to drink fluids that are chilled. If you're hot, a cold drink can lower your core temperature and make you feel more comfortable. This one is pretty important. Light-colored clothes reflect light and allow for very little absorption of the sun's rays. That in turn allows a person to stay cooler and decreases potential risk for heat related illnesses. By contrast, if you wear dark-colored clothes, the sun's light is absorbed, which heats the clothing and impedes the body from being able to correctly regulate its core temperature. Also, as you're picking through your wardrobe, wear articles that are loose fitting and breathable. Again this helps regulate core temperature. Regardless of where you live it's important to stay aware of any and all life-threatening weather, including heat. If you live in an area like the Northeast where central air conditioning is less common than in the Deep South, find cooling stations in your neighborhood. 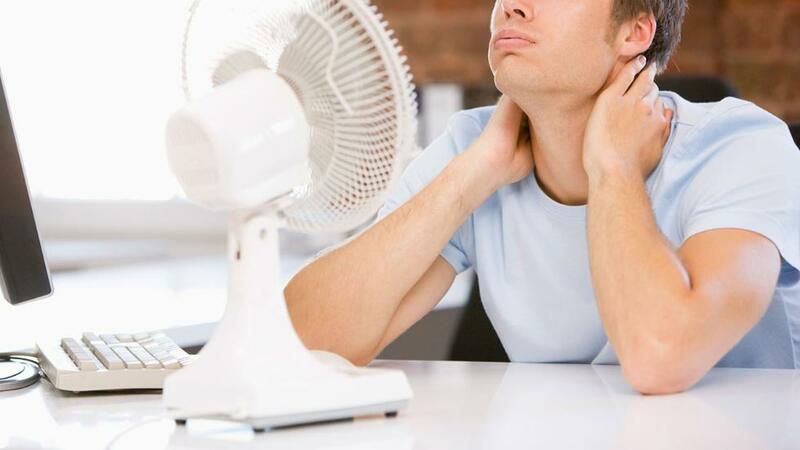 Sitting in a space where ambient temperature is hotter than body temperature, even with a fan, can cause some of the heat related illness listed above. 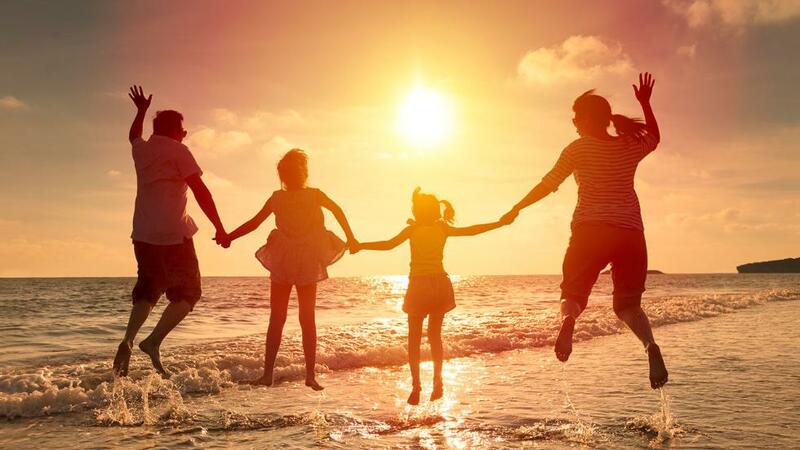 So if at all possible stay indoors, in a cool location, during the heat of the day and once the sun has set, get out and enjoy the summer air.